A medium-strength, general-purpose thinner and mild solvent of choice for fine art painters. 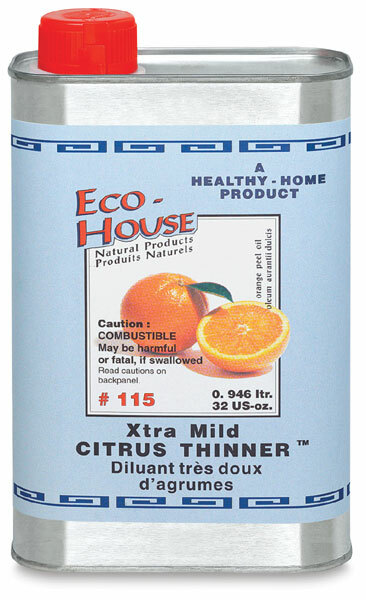 Eco-House 115 Xtra-Mild Citrus Cleaner dries slower than turpentine, keeping the paint workable for a longer period of time. This medium-strength, general-purpose thinner and solvent dries more slowly than turpentine, keeping paint workable for a longer period of time. It is not suitable for dissolving hard resins such as dammar or copal.